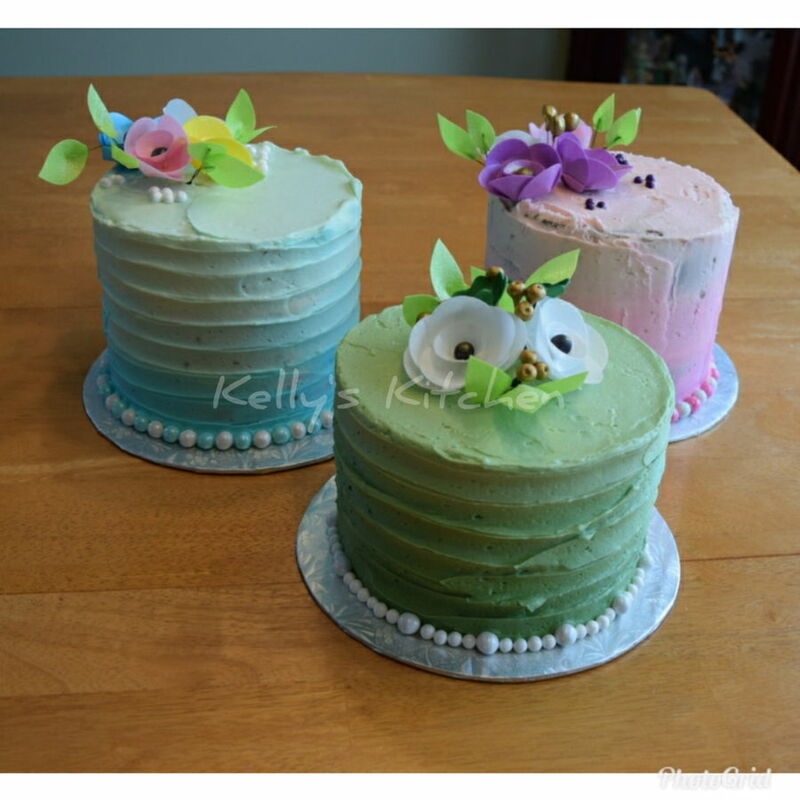 I spent a cake decorating day with my niece and her friend (both 11) over March break. So much fun and they did awesome! They were very excited when I arrived and especially excited when they saw all the cake and how we were going to decorate them. 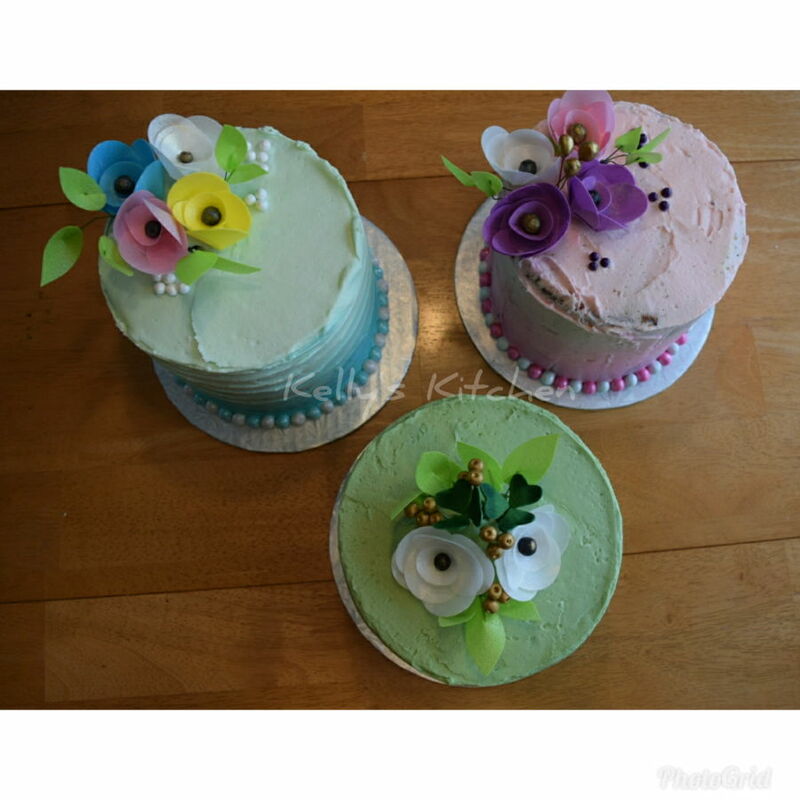 I showed them how to level their cakes, stack and crumb coat them, color icing for an ombre effect, texture the buttercream and make wafer paper flowers. They both really enjoyed decorating their cakes and I got a big hug from both of them before I left ☺. They did everything on their own so what you see in the picture is all their own work. 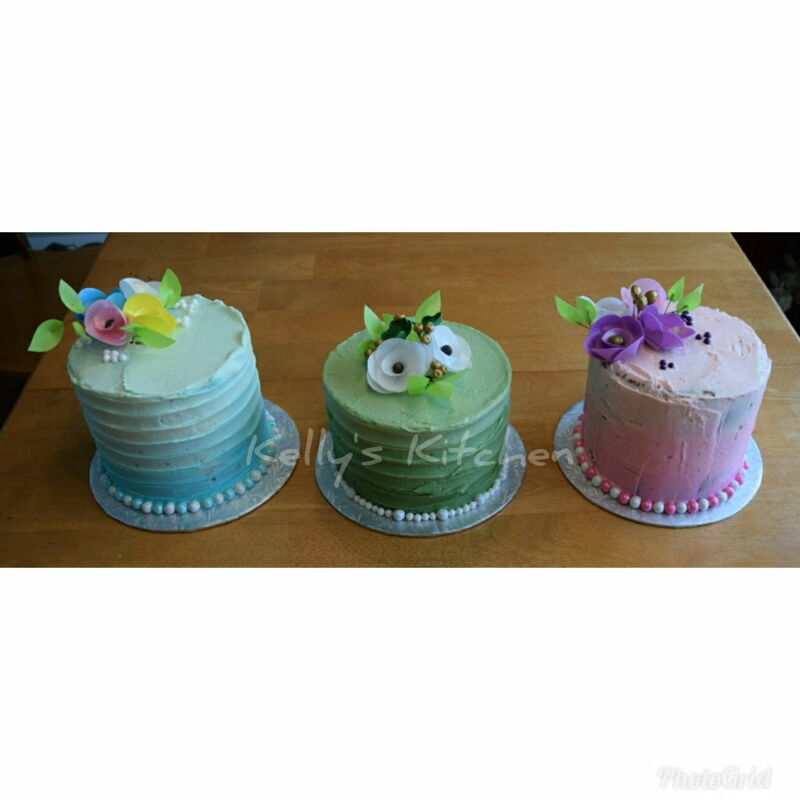 I was so focused on getting good pictures of their cakes and them with their cakes that I forgot to take some of just mine. 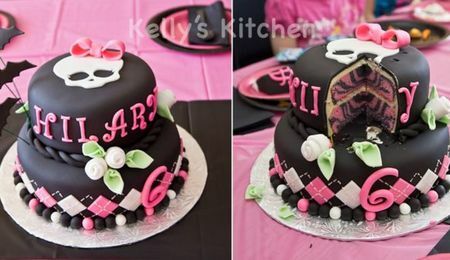 Lol I also have the backside of my cake facing forward in the pictures I did take. 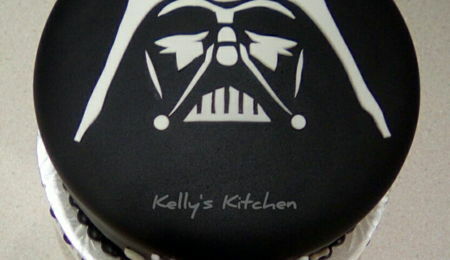 Mine was boxed up and delivered to a friend so no chance for pics once I realized I didn’t have any good ones. 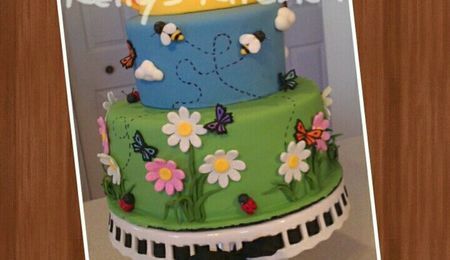 My cake is the green one by the way. Thank you Teri and Laetia! Yes, the girls are really talented! I may have to hire them to help me out. They both love crafting as well as baking and cooking so I had a captive audience.